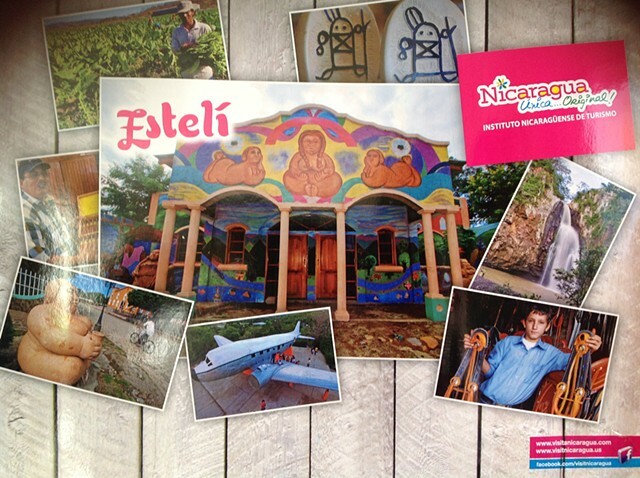 Nicaragua promotional poster, featuring Art of Solidarity mural front and center! Two-story mural tells the story of the full-figured "gordas." More than 60 artists from Limay children to American painters to professional muralists from Esteli's Colectivo de Muralistas de David Alfaro Sequeiros.